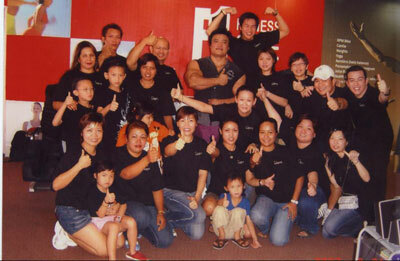 On a beautiful Sunday of 24th June 2007, some of the members from my fan club visited me at my fitness center in Kuala Lumpur. There were about 30 of them (men, ladies and kids) all from Oasis Health Care and Fitness in Kuantan located about 100 miles from the capital city came to see me to seek for advise in training and nutrition. It was kind like a small seminar which lasted about an hour. 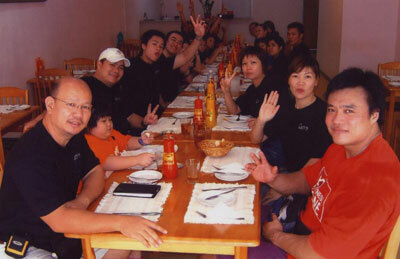 We had a great time and later had lunch together. After that they toured the city before they departed back in the late afternoon. I am glad that they came and i am sure that they went home with a better knowledge in fitness and bodybuilding in general.